The next big game from Microsoft will let you earn Achievement points on your phone. And your Xbox 360. And even your Microsoft Surface. And it's not a shooter. After all, gamers nowadays are drowning in a sea of shooters. Fans who like that sort of thing have an embarrassment of riches but strategy fans haven't as much as a bounty for a while now. The man behind Skulls of the Shogun feels your pain. "They were a huge genre for many, many years," says Jake Kazdal, founder of 17-Bit Studios. "It would be great if we started seeing a comeback." You could say that a bit of a renaissance is happening already, with the buzz around indie release FTL and the successful re-invention of X-Com in XCOM: Enemy Unknown. Kazdal hopes that the game that he and three other core creators have spent three years making will be as successful. One reason Skulls of the Shogun might win over hearts and minds? You'll be able to play it wherever you are. SotS has a lot going for it, already. A great art style. Music that sounds like lost tapes from a Wu-Tang Clan recording session. Newbie-friendly design. But cross-platform asynchronous play might be the secret weapon that helps Skulls find a broad audience. Yesterday, I watched Kazdal take on 17-Bit engineer Ben Vance in a few rounds of Skulls. Vance made his moves on a hotel room HDTV connected to an Xbox 360. That sequence then got sent to Kazdal who responded to Vance's attacks via the Surface's touchscreen. You can watch the back-and-forth in this video I shot with my iPhone. 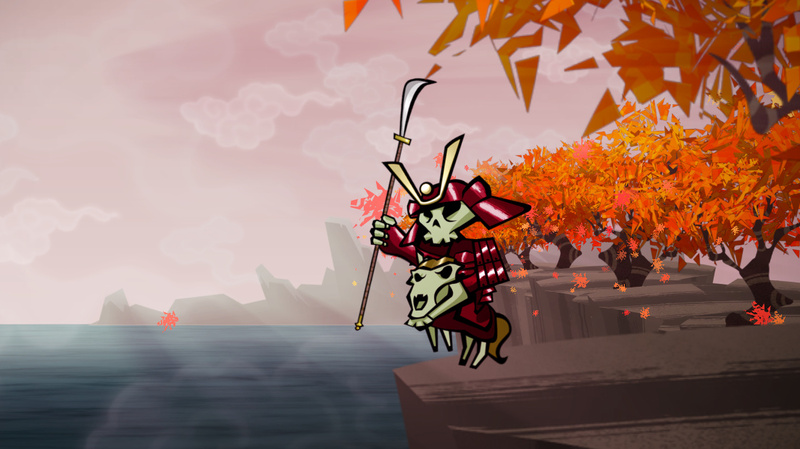 With Skulls of the Shogun living on multiple Microsoft platforms, a cross-buy option — like what Sony does for certain games that have both PS3 and Vita versions — seems like a no-brainer. But, Kazdal says that discussions are still happening on that front. "We would like to. So far, Microsoft doesn't really have anything in place," Kazdal told me. "That being said, we're the first gaming project to fulfil this new initiative of theirs, to have this cross-platform play. We've had plenty of meetings where we're like, "Hey, we really want to have some package or bundle deal where you get all of them for a little bit more or whatever.' It's not there yet. They do want to do it, though." 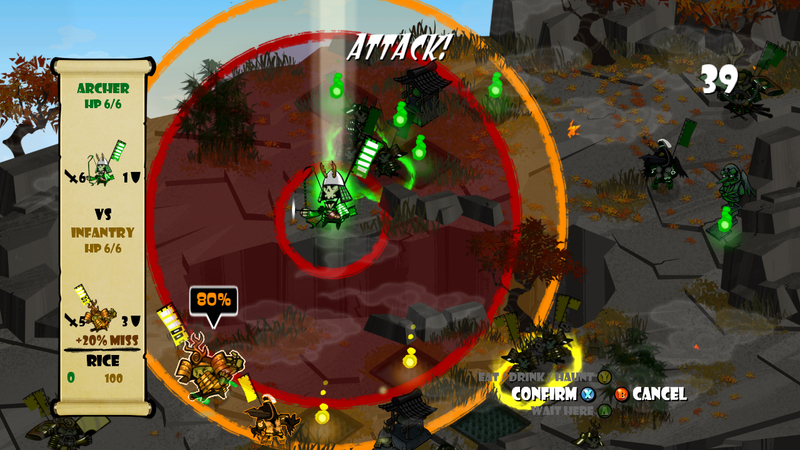 Aside from the Xbox 360 and tablet version, Skulls of the Shogun will also be playable on Windows 8 PCs and smartphones. Does this ubiquity mean a greater chance that Skulls of the Shogun will break out? It's a tough thing to predict. "The thing is, it's a lot of work to do a port," said Kazdal. ‘If I was doing a PS3 game it would be like, "Hey you need to do a PS Vita port.' Well, how many sales am I going to get out of it? It's a big commitment for something that you don't know is going to deliver." "We have people ask, "How many sales have you seen [of the Microsoft Surface?]' I don't know. How many do you see?," Vance quipped. "It's a brand new platform. This could be a runaway hit. It could even not be a big hit but there aren't many games on it. But there's going to be one really awesome game." "Maybe we sell a gazillion units. You never know. I don't really know what to expect. I do know that people who are Microsoft gamers are looking forward to stuff. A lot of gamers have bought [Windows 8 phones and the Surface tablet] with the promise of all the potential it has. But there hasn't been a lot of original content yet." Because of the Surface's higher pixel density, SotS looks really impressive on Microsoft's tablet. "We worked really hard to make this happen, to make it look flawless [across different kinds of hardware]. It was tough. Windows RT is different than regular Windows 8 on PC. This is a more watered-down OS; it's not a full function version. The processor and everything is meant for higher battery life and stuff. It's less about sheer horsepower." But, bith men agree that tech comes in the service of gameplay. "Pretty much our biggest focus with The Skulls of the Shogun has been, ‘How can we get the fun of strategy games into more hands where it's easier for people to just pick up and play?," Kazdal said. "It's a different kind of gameplay that we hope looks and sounds fresh. We want it where even the most jaded gamer can be, "Oh, this is familiar but different. I haven't experienced anything like this before." 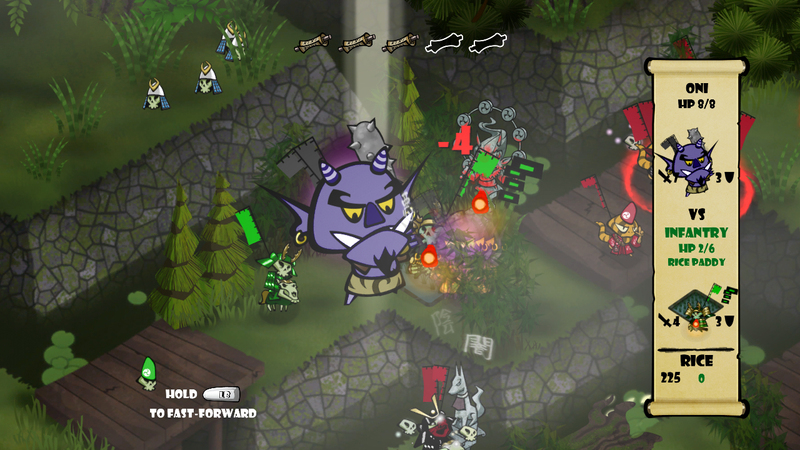 "Strategy games are awesome, especially for mobile," Kazdal continued. "The async has been huge for us., because it's all about the idea that you can play this on any platform you have. It's perfect for short stints, like when you're going on the road. It's perfect for long stints, because it ties with an Xbox game and a Surface and Windows 8. It's been really good for us." If you're a gamer with a Windows device, it might be really good for you, too. ok sounds good, how do i get it for the RT Its not in the app store? is there a release date for the app store version?